We took a little trip to the Eye Doctor today. 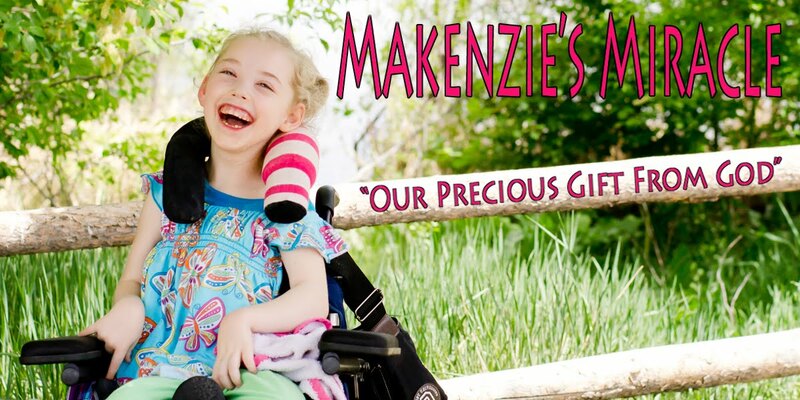 This was the first time that Makenzie's eyes have been examinated since her accident! We went in and they dialated her eyes. Afer 30 min the Doctor came in a put his hand on Makenzie's head and the crying began! After tons of bawling, puking, followed by more bawling the assesmnt was complete!!! While Makenzie continued to cry we talked to the doctor. He said right as he walked in the door that Makenzie had central vision! There was NO use of the word BLIND!!! THANK YOU JESUS!!!!! All of her nerves and anatamy of her eyes is perfect! This means that even though she was deprived of oxygen it didn't damage the medical function of her eyes! He said that she was mildly far sided. He said that this was pretty normal for a child her age, so he gave us a prescription for glasses. He also said that he was VERY optamistic that as she continued to grow and develop that her sight would continue to improve! She has come so far in that last year. May 3rd 2007 she was evaluated by the Ancor Center and was barely tracking and what she was had to lights and sounds! Makenzie continued to cry untill the Doctor told her Good bye and then she imediatly stopped! She is such a pistol!!! She knew she was done by the word "goodbye" She is so smart! I am so proud of her and don't think this appointment could have gone any better! Well, the glasses thing could be very interesting!!!!! To say the least!!!! We wnet to pick glasses out and she wasn't going to have anything to do with that!! She screamed untill I took her out of the store and then she would start in again as soon as we walked back in! So we did the really short version of picking out glasses. The doctor said that we could try contacts if she would not wear the glasses. So we will give it a good try. I will let you know how that goes! Well off to entertain my little girl who took a 4.5 hour nap and won't probably go to bed untill....... well who knows when!!! Oh well I can't bring myself to wake her up!! She is just so cute when she is sleeping and we heal the most with reat so with that said it could be a LONG night!! Oh well she's worth it!!! Please keep praying for Makenzie. Pray for our trip and her continued healing!! We love you all! You are such a blessing!